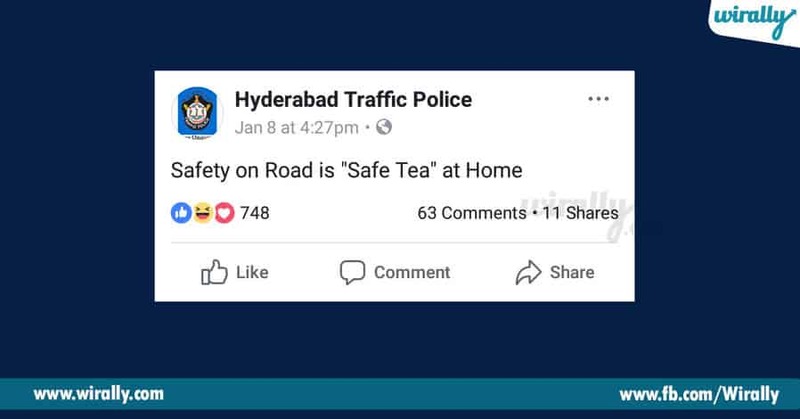 Facebook lo sarcasm posts and witty posts manam chalane chustuntam, but kaani past few months nundi Hyderabad Traffic Police traffic ni control cheyadame kakunda, emadyana Fb lo Admin H ane name tho enni witty posts chesi janalanu baga entertain chestunaru.Three lakh likes unna e page social networking site lo chala trend avtundi and special thanks to this Admin H. Meku telusa, e Admin H meda chala memes kuda vachayi. He is none other than 27-year-old Harinath Reddy. 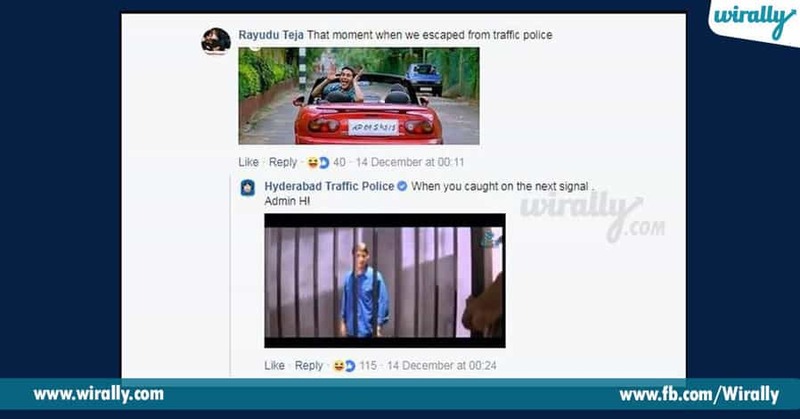 Eyana Hyderabad lone putti perigadu and 2009 lo department lo join ayyadu and since 2010 FB page ki work chestunadu. 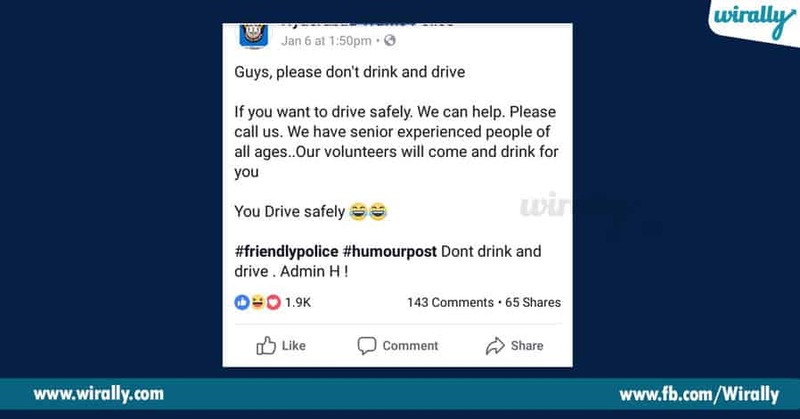 First, lo posts ekuvaga reach avakapotey koncham humour add chesi posts cheyadam start chesadu and avi baga reach avtundadamtho continue chestunadu. 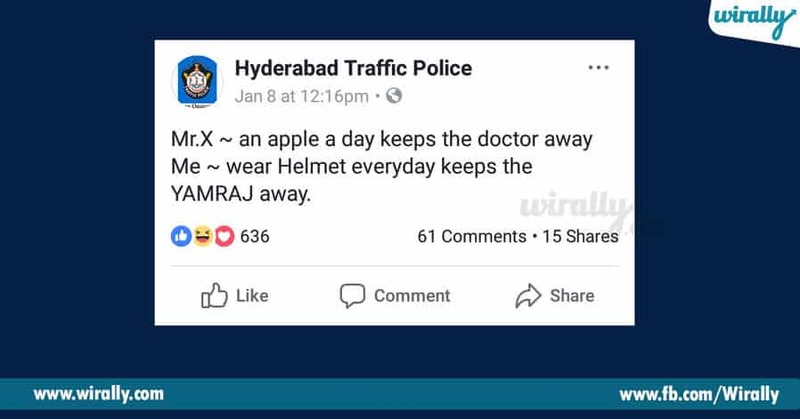 In a recent interview, Harinath said that his humor is healthy and normal ga helmet wear cheyamante evaru cheyaru, ade koncham humor add chesi challan pay cheyali antey katchitamga mata vintaru. 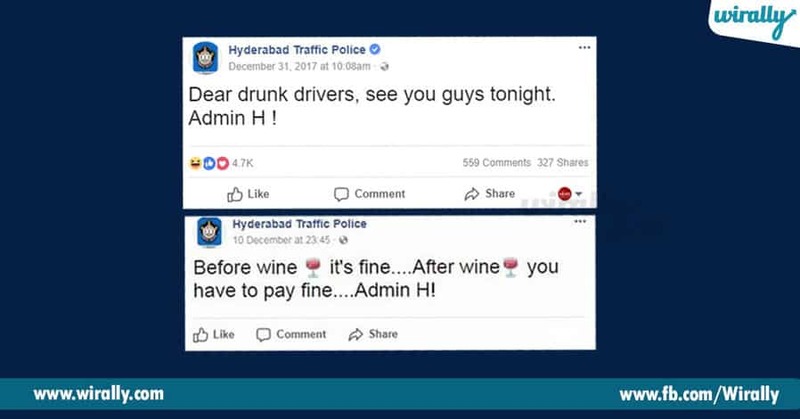 Just posts eh kakunda, oka team FB lo vache complaints meda work chestunaru ani kuda chepadu. And a team vallaki vachina complaint action tesukunadi lenidi, kuda confirm chestunatu chepadu.